Potential patients can fill out an application and a health history in the clinic on the first Monday of each month. Doors open at 8 a.m. Due to the high demand, we are only able to take the first 30 applications. The clinic is located at 420 W. Watkins Rd. Phoenix, AZ 85003. The dental clinic is on the second floor. We will draw names from the pool of applicants to come to the dental clinic for a dental screening. You will be notified at that time if you qualify to receive treatment at the clinic. We try to accommodate as many adult patients as possible. Unfortunately, the need far exceeds our capacity. 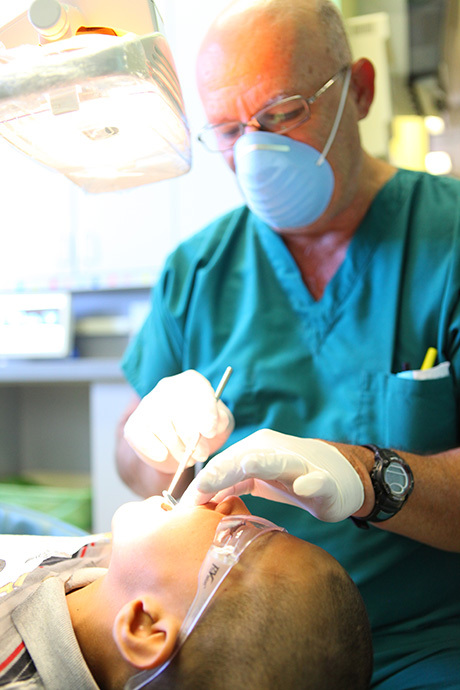 We have a “dental lottery” from which we choose patients to take the place of those whose treatment is completed. Most of the services we perform at the clinic are free of charge. Any treatment that requires additional expense to the clinic such as lab and material fees must be passed on to the patient. If your treatment requires such fees it will be explained to you before such treatment is begun.